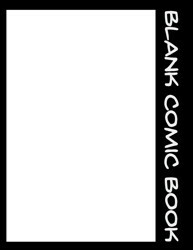 This is a 32 page blank comic book. Design the front and back covers, design the interior. Only the page frames and page numbers are in there. 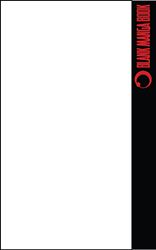 This is a 64 page blank manga book (5x8 dimensions). Design the front and back covers, design the interior. Only the page frames and page numbers are in there. 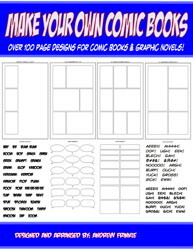 Make your Own Comic Books is a series of templates, panels, and tools that help young artists create their own Manga, Comic Books, and Graphic Novels! Get over 100 pages for free! Use these quick and easy picture puzzles to teach organization, numbers, patterns, and puzzles! Draw pictures on the fronts, paste pictures on them, or print out some pictures and put them on there. Then print the backs and cut along the lines to make rectangular, numbered pieces for the puzzle. Learn to draw using basic shapes! This book contains 10 fun-to-draw birds, all explained in 5 easy steps or less. Learn your shapes, colors, and how to follow directions! Included drawings are: Penguins, Seagulls, Parakeets, Eggs & Nests, Chicks & Ducklings, Owls, Cardinals & Blue Jays, Crows & Blackbirds, Flamingos, and Ostriches & Emus. Look for other How to Draw with Basic Shapes Booklets, too! Learn to draw using basic shapes! This book contains 10 fun-to-draw bugs and insects, all explained in 5 easy steps or less. Learn your shapes, colors, and how to follow directions! Learn to draw using basic shapes! This book contains 10 fun-to-draw creepy crawly critters, all explained in 5 easy steps or less. Learn your shapes, colors, and how to follow directions! Included drawings are: Snails, Earthworms, Spiders, Snakes, Centipedes, Pill Bugs, Scorpions, Daddy Longlegs, Grubs, and Slugs! Learn to draw using basic shapes! This book contains 10 fun-to-draw flowers, all explained in 5 easy steps or less. Learn your shapes, colors, and how to follow directions! Included drawings are: Lily of the Valley, Roses, Dandelions, Tulips, Sunflowers, Orchids, Lilacs, Daisies, Hydrangeas, and Violets. Learn to draw using basic shapes! This book contains 10 fun-to-draw foods and drinks, all explained in 5 easy steps or less. Learn your shapes, colors, and how to follow directions! Included drawings are: Cold drink, french fries, lollipops, ice cream cones, cotton candy, cheeseburger, pizza, soda can, hot dog, and cookies. Learn to draw using basic shapes! 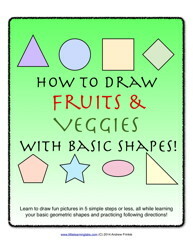 This book contains 10 fun-to-draw fruits and veggies, all explained in 5 easy steps or less. Learn your shapes, colors, and how to follow directions! Included drawings are: Tomatoes & Persimmon, Mushrooms, Grapes, Watermelon, Onions, Corn, Bananas, Peaches & Plums, Apples, and Sliced Citrus. Learn to draw using basic shapes! 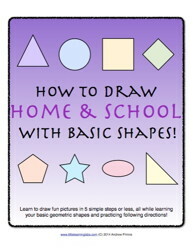 This book contains 10 fun-to-draw things from home and school, all explained in 5 easy steps or less. Learn your shapes, colors, and how to follow directions! Included drawings are: Light Bulbs, Mugs, School Desk, Backpacks, Clocks, School Bus, Crayons, House, Pencils, and Books. Learn to draw using basic shapes! This book contains 10 fun-to-draw pets and farm animals, all explained in 5 easy steps or less. Learn your shapes, colors, and how to follow directions! 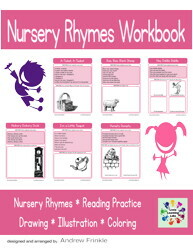 Included drawings are: Mice, Rabbits, Hedgehogs, Sheep, Pigs, Horses, Cows, Dogs, Cats, Hamsters & Guinea Pigs. Learn to draw using basic shapes! This book contains 10 fun-to-draw plants and flowers, all explained in 5 easy steps or less. Learn your shapes, colors, and how to follow directions! Included drawings are: Acorn, Toadstool, Cattails, Flowers, Ferns, Palm Tree, Pine Tree, Fruit Trees, Grass, and Cactuses. Learn to draw using basic shapes! This book contains 10 fun-to-draw sea creatures, all explained in 5 easy steps or less. Learn your shapes, colors, and how to follow directions! Included drawings are: Ocean Sunfish, Angelfish, Turtle, Flying Fish, Crab, Whale, Squid, Frog, Starfish, & Pufferfish. Learn to draw using basic shapes! 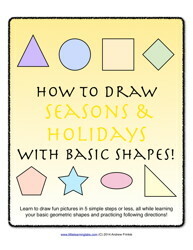 This book contains 10 fun-to-draw seasonal and holiday objects, all explained in 5 easy steps or less. Learn your shapes, colors, and how to follow directions! Included drawings are: Snowflakes, Beach Ball, Clovers, Jack-O-Lanterns, Snowman, the Sun, Christmas Trees, Easter Eggs, Birthday Cake, and Turkeys. Learn to draw using basic shapes! This book contains 10 fun-to-draw wild animals, all explained in 5 easy steps or less. Learn your shapes, colors, and how to follow directions! Included drawings are: Camels, Panda Bears, Elephants, Lions, Kangaroos, Rhino & Hippo, Giraffes, Zebras, Koala Bear, and Monkeys.